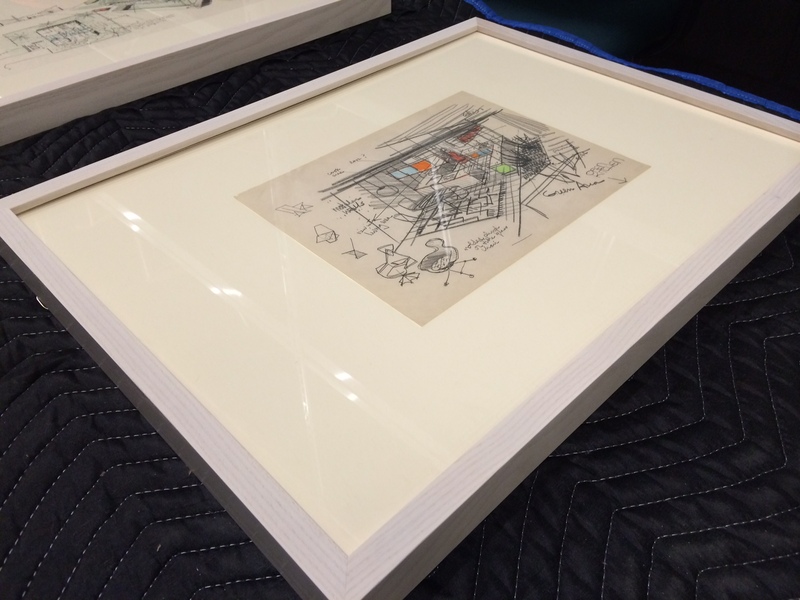 Framed Ralph Rapson drawing, The Ralph Rapson Collection, 1935-1954. Photographer, Gretchen Sawatski. This past Monday I had the great fortune of taking part in an archival workshop lead by forty-year archives veteran Tawny Ryan Nelb of Nelb Archival Consulting, Inc. As a Registrar, I primarily work with three-dimensional objects (furniture, paintings, gates, etc. 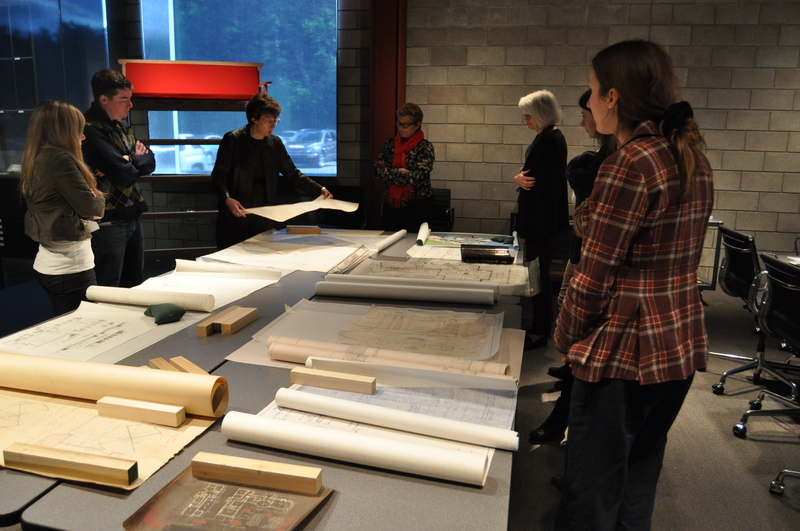 ), so I was eager to learn that this workshop focused on architectural records, the sub-genres within that medium, and how to properly care for and store these records. Tawny Ryan Nelb (third from left). Photographer, Justine Tobiasz. Thank goodness for archival specialists, because Tawny truly eased my conscience. She, in very kind words simply replied, “It’s ok. We can remove the tissue and tracing paper from their frames, disrupting the microclimate, and use archival paper and matting to resolve the issue.” My response, “what about those hinges?” And, again she calmed my nerves, “Leave the hinges, and store the objects in flat files, so there is no need to use the frames. Then, if these documents go on exhibition again, they are already hinged and ready to go.” In one word: genius. That is what I experienced at this workshop, shear genius. In all of the workshops I have been a part of, I have never been so glad to have attended an archives workshop in all of my life.